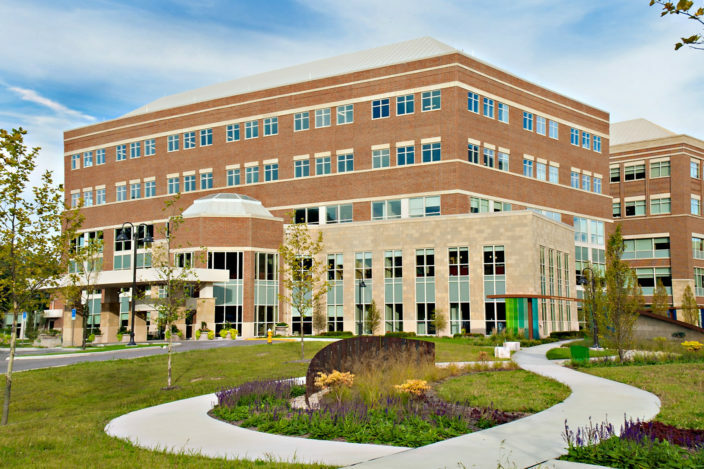 In response to the expanding population of Dayton, Ohio, Premier Health made the decision to expand their services on the Miami Valley South campus. 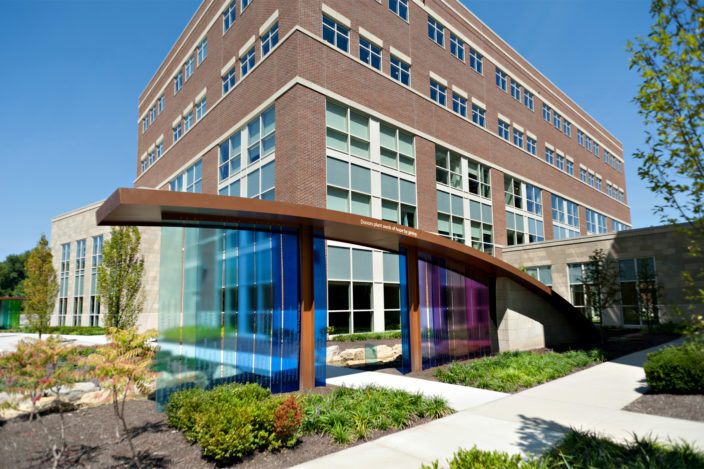 Through a joint venture with Dayton Physicians, a comprehensive cancer center occupies the first and second floors. The upper three floors will house future cancer and other ambulatory services. 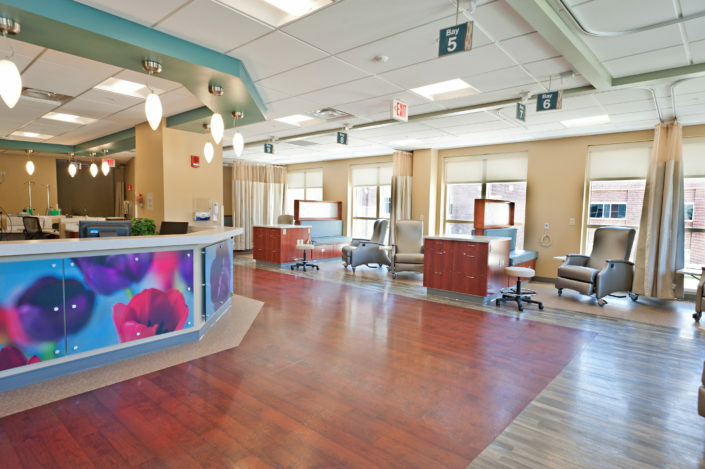 Early in the design process, an emphasis was placed on the comfort and well-being of the patients receiving treatment. The waiting room and the infusion clinic have large windows that bring in plenty of natural light. 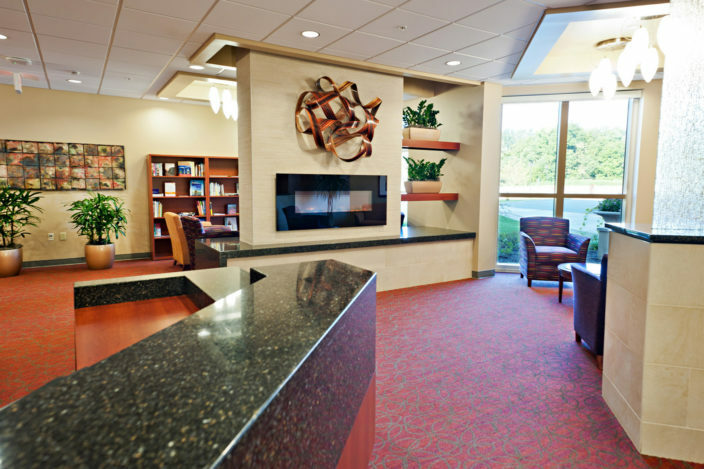 Patients have access to a resource center and a lounge. 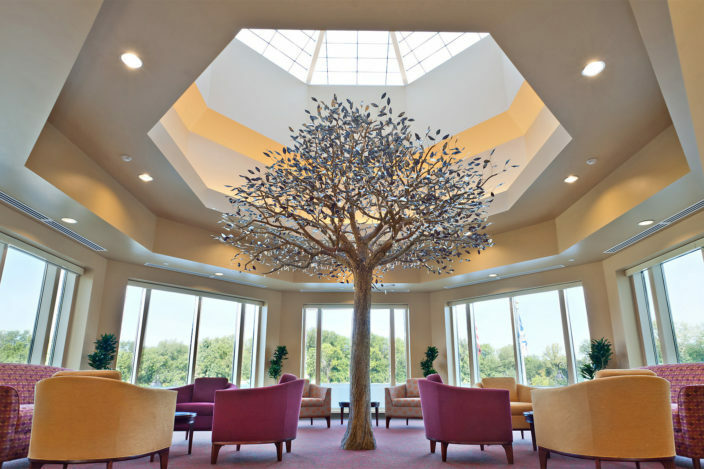 The lounge contains a skylight and a tree sculpture, allowing patients to reflect. 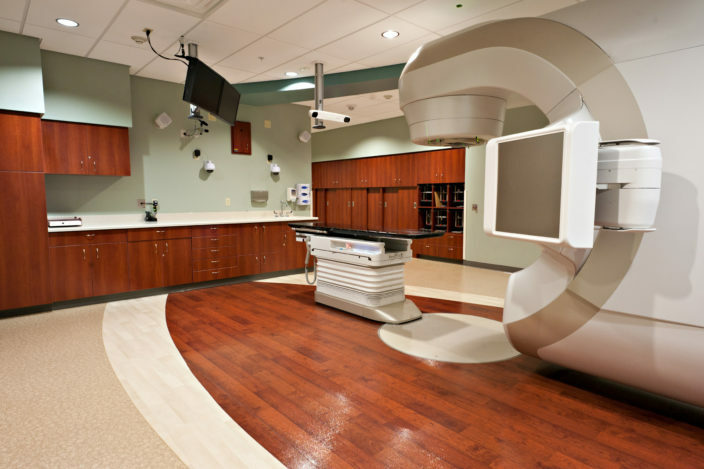 Key services of the cancer center include medical oncology, gynecological oncology, chemotherapy, pharmacy, laboratory, and radiation oncology and imaging. 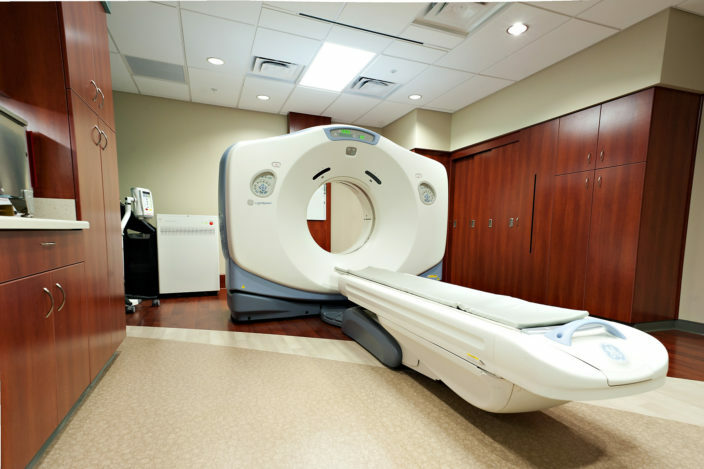 The center currently has a linear accelerator, but the design allows a second linear accelerator to be constructed to accommodate growth. The freestanding facility is connected to other South Campus buildings via an enclosed walkway. The design of the building reflects the current campus design standards. 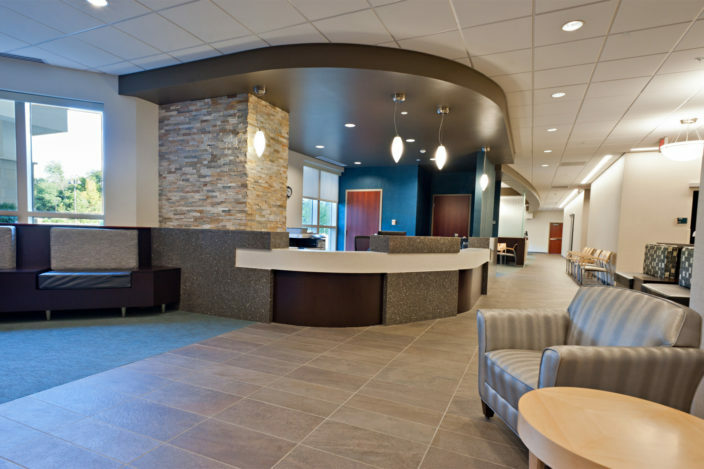 The building has its own distinct entry with patient drop-off and surface parking for patients visiting the facility.